Infinite Art Tournament: The Infinite Art Tournament, Round 1: Dali v. Daubigny! The Infinite Art Tournament, Round 1: Dali v. Daubigny! Hello, Dali! Yes, someone had to say it, and thanks to my time differential advantage, I got there first. Shameless, I know. Dali makes me nauseous. 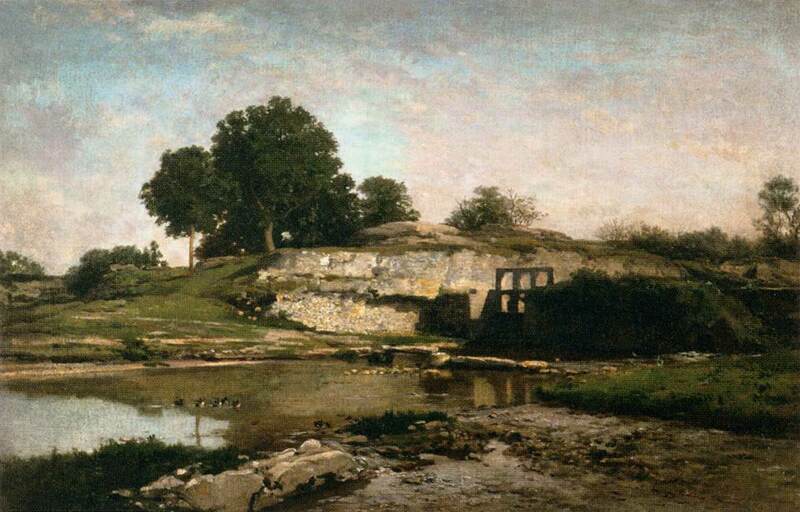 Daubigny it is. Dalí works still have the power of inspire great discussions, so he's my vote. Did lamanyana ever tell you about the time he won a supersoaker in a Halloween costume contest for his impeccable Salvador Dali outfit? I'm not a huge Dali fan, but I'll certainly vote for him here. 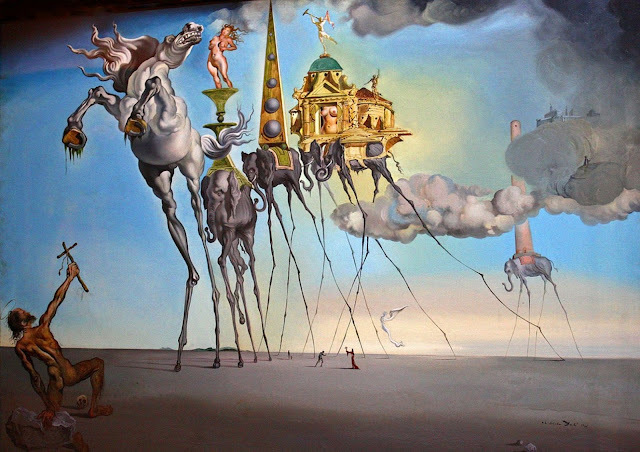 I would love to see lamanyana in an impeccable Salvador Dali getup! If this was a "Infinite College Dorm Room Art" contest, I think Dali would be a sure-fire finalist (against who, Escher?). We'll see how far he gets here, but definitely to the scone round in my opinion. Like much of my life in the days between leaving my childhood home and the advent of cheap digital cameras, there is no photographic evidence of that costume. I'm certainly be willing to vote for Dali in it's honor in this pairing, though. Daubig-who? Apparently he was a pal of Corot's, a pioneer of plein air technique, and is considered an important pre-impressionist. These two pieces look perfectly credible. 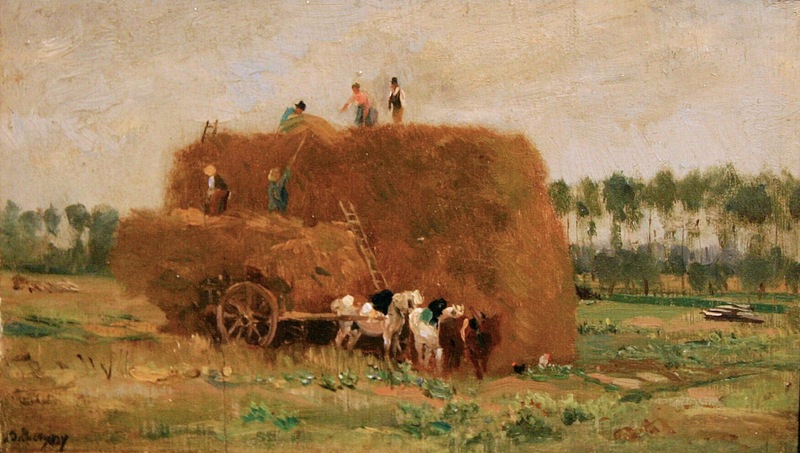 Vote-by-mail for Daubigny: "I dislike chaos... Have hated Dali forever." I didn't think I liked Dali, but these aren't what I expected, so who knows why I thought what I was thinking? Dali's got my vote here. I'd love the story behind those stilleto elephants and the titsy love fest on the march. I'm voting Dali in this mismatched bout. Let's go Dali, let's go! While I don't quite feel the same ra-ra enthusiasm of JakeFlo, I do think Dali is creative and influential enough to move on to the next round. 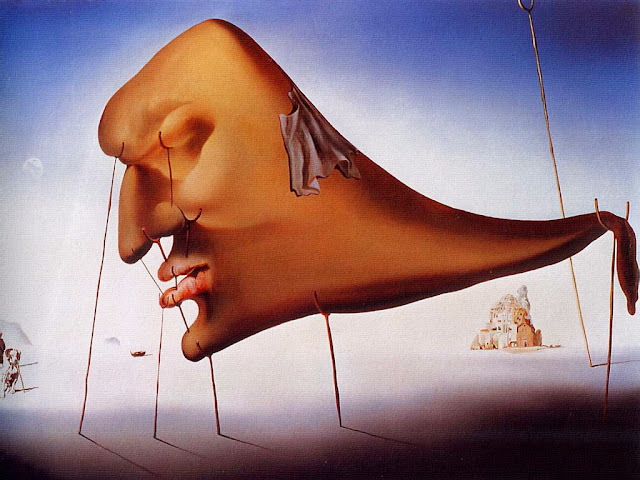 What's-his-name is like a lamb to the slaughter as A-list Salvador Dali racks up 15 votes to 2, cruising into Round Two with considerable momentum. Will Cranach the Elder be able to do anything about it? We'll all decide together.